The food traceability market is expected to reach almost $20 billion by 2022 as increased consumer awareness, strict governance requirements, and advances in technology are resulting in growing standardisation of the segment. Just like any data-driven environment, one of the biggest enablers of this is integrated enterprise resource planning (ERP) solutions. As the name suggests, traceability is the ability to track something through all stages of production, processing, and distribution. 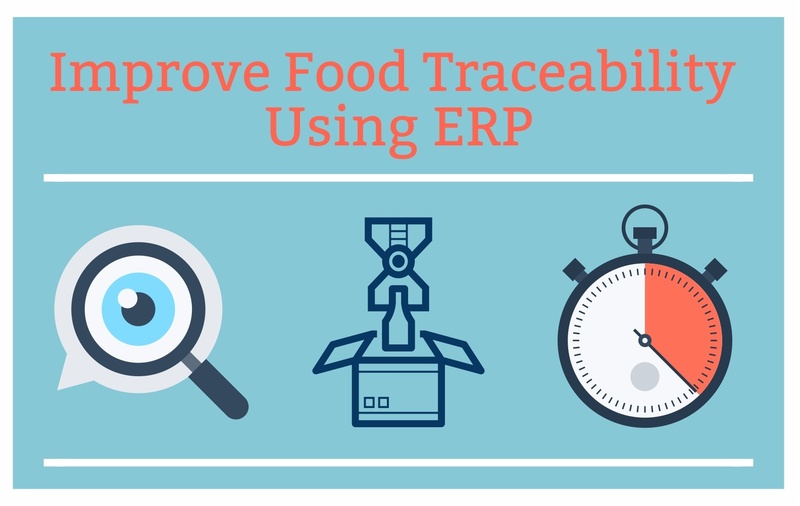 When it comes to the food industry, traceability must also enable stakeholders to identify the source of all food inputs that can include anything from raw materials, additives, ingredients, and packaging. Considering the wealth of data that all these facets generate, it is hardly surprising that systems and processes need to be put in place to manage, analyse, and provide actionable insights. With traceability enabling corrective measures to be taken (think product recalls), having an efficient system is often the difference between life or death when it comes to public health risks. Sceptics argue that traceability simply requires an extensive data warehouse to be done correctly, the reality is quite different. Yes, there are standard data records to be managed, but the real value lies in how all these components are tied together. ERP provides the digital glue to enable this. With each stakeholder audience requiring different aspects of traceability (and compliance), it is essential for the producer, distributor, and every other organisation in the supply chain, to manage this effectively in a standardised manner. With so many different companies involved in the food cycle, many using their own, proprietary systems, just consider the complexity of trying to manage traceability. Organisations must not only contend with local challenges, but global ones as well as the import and export of food are big business drivers. So, even though traceability is vital to keep track of everything in this complex cycle, it is also imperative to monitor the ingredients and factories where items are produced. Having expansive solutions that must track the entire process from ‘cradle to grave’ is an imperative. Not only is this vital from a safety perspective, but from cost and reputational management aspects as well. Just think of the recent listeriosis issue in South Africa and the impact it has had on all parties in that supply chain. Thanks to the increasing digital transformation efforts by companies in the food industry, traceability becomes a more effective process. It is no longer a case of using on-premise solutions that can be compromised but having hosted ones that provide more effective fail-safes. In a market segment that requires strict compliance and regulatory requirements to be met, cloud-based solutions can provide everyone in the supply chain with a more secure (and tamper-resistant) solution than many of the legacy approaches of old. This is not to say ERP requires the one or the other. Instead, there needs to be a transition provided between the two scenarios that empowers those in the food supply chain to maximise the insights (and benefits) derived from traceability. Now, more than ever, traceability is a business priority. Having the correct foundation through effective ERP is essential if a business can manage its growth and meet legislative requirements into the future.